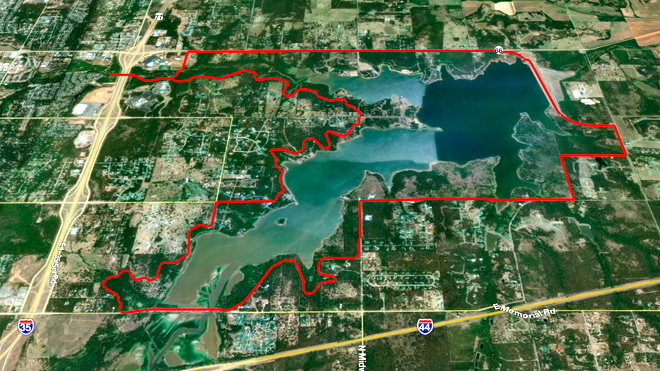 The Edmond Land Conservancy, a 501c(3) entity, has recently partnered with the Arcadia Lake Trail Coalition to establish a multi-use trail around Arcadia Lake by 2014, which enables walkers, joggers, and cyclists to enjoy the natural beauty of the Arcadia Lake area while preserving the native habitat and natural vegetation. The trail around Arcadia Lake will be approximately 18-20 miles long. In addition to being unanimously endorsed by the Edmond Mayor and City Council, the Corp of Engineers and the City of Oklahoma City this trail has the endorsement of many other community organizations and individuals committed to protecting the beauty of the area while providing a safe venue for promoting physical activity, good health and an appreciation of the outdoors.